Serena Jameka Williams is the 2015 Wimbledon Champion. Artistically: Since 2004, Serene Wiliams has also been running her own line of designer apparel called “Aneres”—her first name spelled backward. In 2009 she launched a signature collection of handbags and jewelry. The collection, called Signature Statement, is sold mainly on the Home Shopping Network (HSN). In early 2010, Williams became a certified nail technician in preparation for her upcoming nail collection with a company called HairTech. 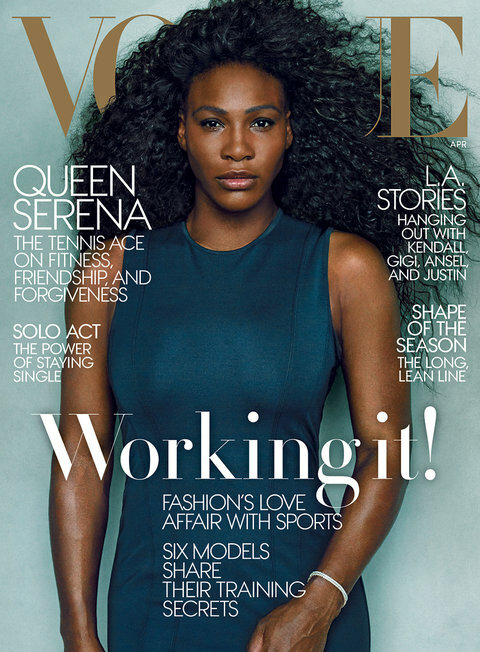 In 2015, she became the first black female athlete to have a picture by herself on the cover of Vogue, which she did for the April 2015 issue.